Titebond II Premium, and Rhenocoll 3W, 4B Plus) that belong to the group of thermoplastic wood adhesives intended for non-construction bonding applications. Jan 9, 2018 - 2007; Klyosov 2007; Mouritz and Gibson 2007; Han et al. 2008 ...... indicator plants for boron in the kirka (Eskisehir/Turkey) boron deposit area,". structures, connections are some of the most important components. Connections may consist entirely of wood members, but frequently they involve connections of wood to steel or other members, where a wide variety of fastenings can be used: nails, spikes, screws, bolts, lag screws, drift pins, staples, and metal connectors of various types. In order to achieve the greatest rigidity and strength and longest serviceability, each type of fastening requires joint designs, which are adapted to the strength properties of the wood along and across the grain (Taj et al. 2009; Aytekin 2008; Rammer 2010). Connections are equally important in furniture construction as in wooden structures, because they are the critical links between the elements of a structure, maintaining load path continuity and providing structural rigidity. It is important for the connections to be designed properly, so that they can carry loads safely under service conditions without excessive deformation or failure (Taj et al. 2009). Screws and nails are widely used as joint components of wood construction, and because each wood species has its own properties, the corresponding screw and nail withdrawal resistances vary. 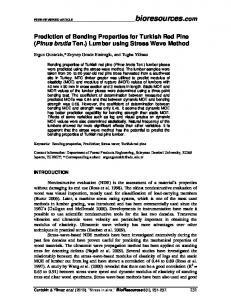 It is therefore important that both producers and consumers are aware of the screw and nail withdrawal resistance for the various wood species (Aytekin 2008). The resistance of wood screws to withdrawal from the side grain of wood varies directly with the square of the specific gravity of the wood, the depth of penetration of the threaded portion, and the diameter of the screw (Rammer 2010). In addition, the shear strength of the wood (Eckelman 1975), the wood species, the angle between screw and fibre direction, the wood moisture content, the temperature (Pirnbacher and Schickhofer 2009), and the type of screws used (Aytekin 2008) all affect screw withdrawal resistance. Heat treatment changes the mechanical properties of wood, which can affect the withdrawal capacity of screws. Heat treatment at temperatures higher than 160 °C, and especially above 210 °C, causes thermal degradation of wood, which reduces resistance to screw withdrawal (Poncsak et al. 2006; Kocaefe et al. 2010). On the other side, treatment time does not appear to have a significant effect on screw withdrawal strength (Kocaefe et al. 2010). Lower withdrawal strengths can be explained by the lower shear strength of the modified wood. 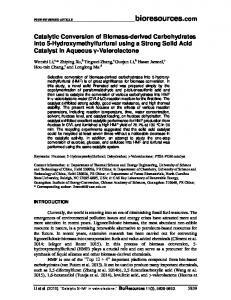 A reduction in shear strength after thermal treatment can be explained by the partial conversion of polyoses, which make up to 20% of the middle lamella of the cell wall. 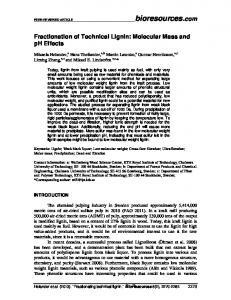 On the other hand, increased cross-linking within the lignin polymer network could have a positive effect on shear strength (Stamm 1964). In the case of heat-treated spruce, lower equilibrium moisture content can improve mechanical properties, but thermal degradation usually reduces this effect. The withdrawal capacity of screws is related to the shear strength of wood (Eckelman 1975), which is strongly related to moisture content and density. The shear modulus of wood and screw withdrawal resistance below the fibre saturation point decreases with increasing moisture content (Keunecke at al. 2007; Hübner et al. 2010). Because of the modified properties of heat-treated wood, some recommendations for the usage of screws and nails have been made. Mayes and Oksanen (2003) recommend pre-drilling (for screws close to ends, in order to prevent crack-splitting) and countersinking for ThermoWood®. For better holding strength they recommend coarsethread screws and self-drilling screws, so as to avoid pre-drilling. Stainless steel screws with countersunk heads are the most suitable for use outdoors and in humid environments. It is recommended that fasteners should be placed at least 70 mm from the product ends, and at least 10 mm from the sides in order to prevent splitting. The aim of the present study was to determine the effect of the degree of heattreatment on the withdrawal capacity of screws in spruce wood. 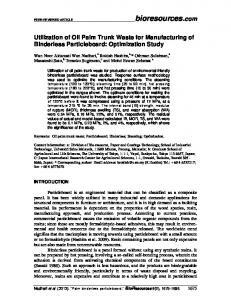 Only one type of screw (self-drilling Spax 4CUT) and one heat treatment process was used because the emphasis of the study was on the effect of wood treatment temperature on the screw withdrawal. Image analysis of deformed area The screws were removed from the samples after testing, and samples were cut out with a table saw through the middle of the screw hole. The main fractures were seen only in the radial cut, so that only images of this section were analysed. The images of the fractured area around the pulled-out screws were obtained using an Olympus SZX12 microscope and an Olympus E-M5 digital camera. The images were analysed using suitable image analysis software (Image-Pro). Points on the edges of the fractured area were selected, and the area limited by these points was calculated (Fig. 2). Five images were made and analysed for each degree of thermal modification of the wood and average values were calculated for comparison. is the length of penetration of the threaded part of the screw (mm). 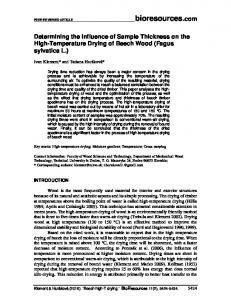 In the case of the tests described in this paper, the diameter and depth of screw penetration were constant, but density varied due to the heterogeneity of the wood and also mass loss during heat treatment. Mass loss and consequently lower wood density is one of the reasons for lower screw withdrawal capacity from modified wood. Screw withdrawal strength also depends on wood moisture content (Pirnbacher and Schickhofer 2009). Heat treatment reduces the equilibrium moisture content, so that it decreases with the increasing temperature of the heat treatment. Moisture content has a positive effect on the shear strength of wood, and therefore also on screw holding strength. The withdrawal capacity from heat-treated wood should be higher because of the reduced moisture content, but this effect was not observed in the case of the performed measurements because the other changed properties (due to thermal degradation) diminished this effect. Fig. 3. Withdrawal capacity of screws in the radial and tangential direction for wood that was heat-treated at different temperatures. Not only did the screw holding strength decrease with increasing modification temperature, but the deformed area around the screw hole increased in size with the increasing heat treatment temperature of the wood (Figs. 4 and 5). This indicates greater brittleness and lower strength of the modified wood. The shear strength of the heattreated wood (Table 2) decreased from a value of 8.67 N/mm2 (control) to 7.60 N/mm2 (HT-210) and 7.21 N/mm2 (HT-230) (Kariz 2011). Fig. 4. Increasing average deformed area around the screw after withdrawal from wood modified at different temperatures (Control, 150, 170, 190, 210, 230 °C). The results of the statistical analysis showed significant differences between the control wood and the heat-treated groups of specimens. The average value of the size of the deformed area was greater in the case of all the groups of specimens compared to the control wood. Fig. 5. The influence of the temperature of the heat treatment of wood on the average deformed area around the screw after withdrawal. Because of the lower screw withdrawal strength of modified wood, screws with larger diameters or deeper penetrations should be used to provide sufficient holding force. Also, greater spacing distances between the screws should be used because of the larger deformation area around the screws. CONCLUSIONS 1. Heat treatment reduces the withdrawal capacity of screws. The withdrawal capacity of screws from spruce wood that was heat-treated at temperatures of 210 °C and 230 °C decreased significantly compared to the control wood. 2. The deformation area around the screw increased with the heat treatment of the wood. Obtained results of this research are vaild for the used type of wood, process of modification, and the type of screw (thread, diameter, and material). Different types of screws inserted in differently modified wood could have different performances. ACKNOWLEDGMENTS The authors gratefully acknowledge the financial support of the Slovenian Research Agency within the framework of the research program P4-0015. 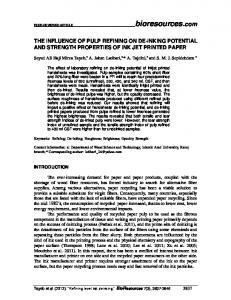 REFERENCES CITED Aytekin, A. (2008). 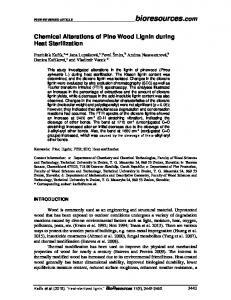 “Determination of screw and nail withdrawal resistance of some important wood species,” Int. J. Mol. Sci. 9(4), 626-637. 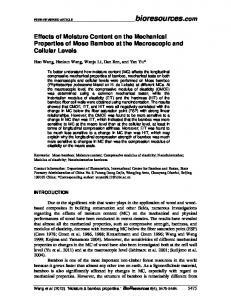 Boonstra, M. J., Tjeerdsma, B. F., and Groeneveld, H. A. C. (1998). Thermal modification of non-durable wood species. Part 1, The Plato technology: Thermal modification of wood. 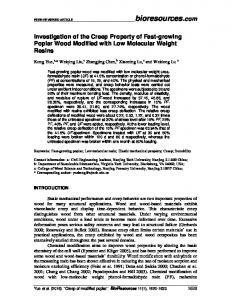 Report of International Research Group on Wood Preservation, IRG/WP 98-40123. Chaouch, M., Pétrissans, M., Pétrissans, A., and Gérardin, P. (2010). 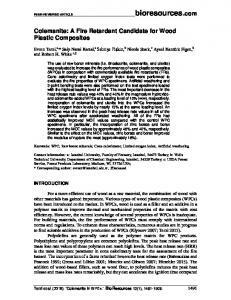 “Use of wood elemental composition to predict heat treatment intensity and decay resistance of different softwood and hardwood species,” Polymer Degradation and Stability 95(12), 2255-2259. Dinwoodie, J. M. (2000). Timber: Its Nature and Behavior, E & FN Spon, London, UK. Esteves, B. M., and Pereira, H. M. (2009). 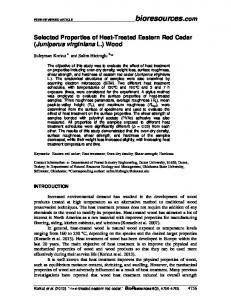 “Wood modification by heat treatment: A review,” BioResources 4(1), 370-404. Eckelman, C. A. (1975). “Screw-holding performance in hardwoods and particle board,” Forest Products Journal 25(6), 30-35. EN 1382 (2000). Timber structures - Test methods - Withdrawal capacity of timber fasteners, European committee for standardization, Brussels. Hill, C. A. S. (2006). Wood Modification. 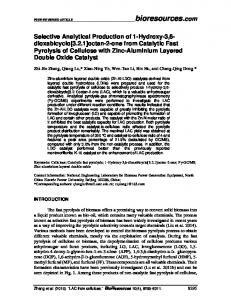 Chemical, Thermal, and Other Processes, John Wiley& Sons, Chichester, England. Hübner, U., Rasser, M., and Schickhofer, G. (2010). “Withdrawal capacity of screws in European ash (Fraxinus excelsior L.), 11th World Conference on Timber Engineering, Trentino, Italy. Jämsä, S., and Viitaniemi, P. (2001). “Heat treatment of wood - better durability without chemicals,” Proceedings of Special Seminar held in Antibes, France, A.O. Rapp (ed. 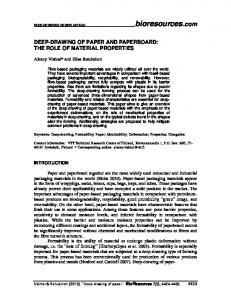 ), 9 February 2001, Review on heat treatments of wood, 21-27. Kariz, M. (2011), “Vpliv termične modifikacije lesa na utrjevanje lepil in kakovost lepilnih slojev-Influence of thermal modification of wood on curing of adhesives and bond performance”, Doctoral dissertation, Biotechnical faculty, University of Ljubljana, Slovenia. Kariz, M., and Sernek, M. (2010). 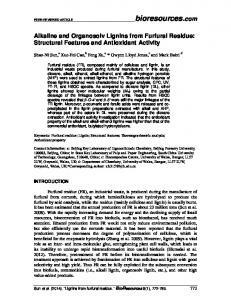 “Bonding of heat-treated spruce with phenolformaldehyde adhesive,” Journal of Adhesion Science and Technology 24(8-10), 1703-1716. Kocaefe, D., Poncsak, S., Tang, J., and Bouazara, M. (2010). “Effect of heat treatment on the mechanical properties of North American jack pine: Thermogravimetric study,” J. Mater. Sci. 45(3), 681-687. Keunecke, D., Sonderegger, W., Pereteanu, K., Lüthi, T., and Niemz, P. (2007). “Determination of Young’s and shear moduli of common yew and Norway spruce by means of ultrasonic waves,” Wood Sci. Technol. 41(4), 309-327. Militz, H. (2002). 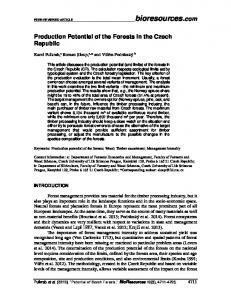 “Thermal treatment of wood: European processes and their background,” The International Research Group on Wood Preservation. Document No. IRG/WP 02-40241. Mayes, D., and Oksanen, O. (2003). ThermoWood Handbook, Finnish Thermowood Association, Helsinki, Finland. Pirnbacher, G., and Schickhofer, G. (2009). “Base parameters of self-tapping screws,” In: Proceedings of CIBW18, paper 42-7-1, Dübendorf, Schweiz. Poncsak, S., Kocaefe, D., Bouazara, M., and Pichette, A. (2006). 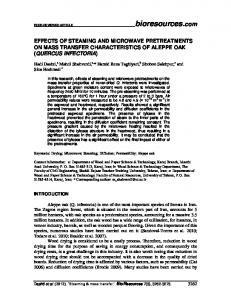 “Effect of high temperature treatment on the mechanical properties of birch (Betula papyrifera),” Wood Sci. Technol. 40(8), 647-663. Rammer, D. R. (2010). “Fastenings,” Wood Handbook, Wood as an Engineering Material, Forest Products Laboratory, U.S. Department of Agriculture, Forest Service, Madison, WI, Chapter 08. Rep, G., Pohleven, F., and Bučar, B. (2004). 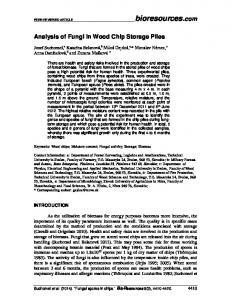 “Characteristics of thermally modified wood in vacuum,” Report of International Research Group on Wood Preservation. IRG/WP 0440287. Stamm, A. J. (1964). Wood and Cellulose Science, Ronald Press, New York. Stamm, A. J. (1956). 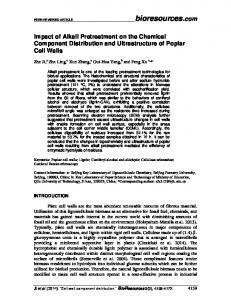 “Thermal degradation of wood and cellulose,” Industrial and Engineering Chemistry 48(3), 413-417. Taj, M. A., Najafi, S. K., and Ebrahimi, G. (2009). 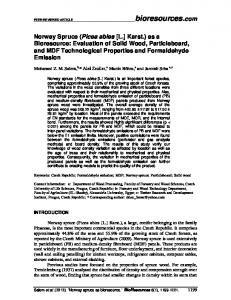 “Withdrawal and lateral resistance of wood screw in beech, hornbeam and poplar,” Eur. J. Wood Prod. 67(2), 135-140. 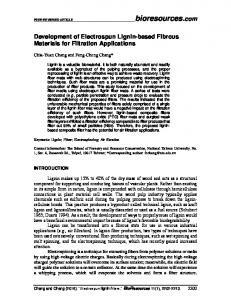 Tuong, V. M., and Li, J. (2010). 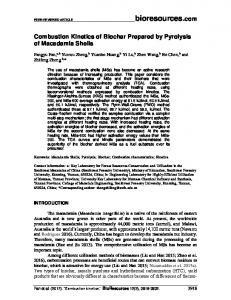 “Effect of heat treatment on the change in color and dimensional stability of acacia hybrid wood,” BioResources 5(2), 1257-1267. 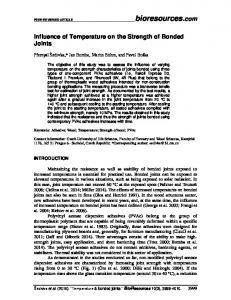 Tjeerdsma, B. F., Boonstra, M. and Militz, H. (1998). “Thermal modification of nondurable wood species,” Part 2, Improved wood properties of thermally treated wood, Report of International Research Group on Wood Preservation, IRG/WP 9840124. 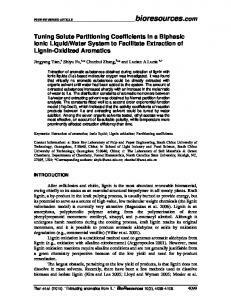 Article submitted: March 29, 2013; Peer review completed: May 10, 2013; Revisions accepted: July 3, 2013; Published: July 10, 2013.